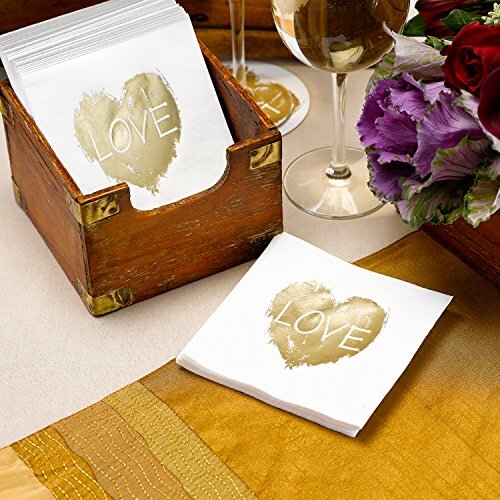 Love beverage napkins add the magical touch to any bridal shower, reception dinner or wedding. 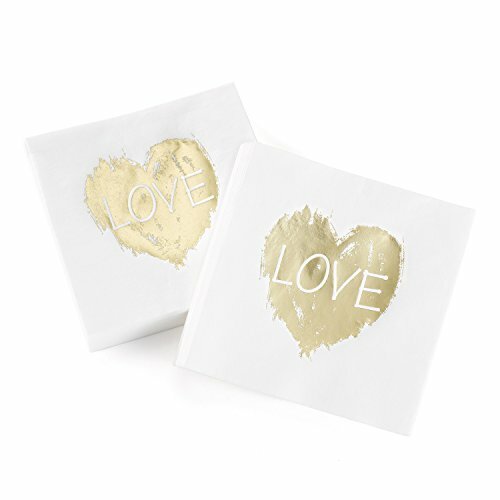 White beverage napkin with Love heart design printed in gold foil. Hortense B. Hewitt's Brush of Love designs bring unique style for brides, grooms, and couples at almost any romantic time. The gold will bring a glamour look to any wedding while the design and lettering will look chic and modern. Paint your wedding with love everywhere from the guest book to the cake topper. Uncoined edge. Pre packaged set of 50.